ZTE made a surprisingly good impression at the IFA trade show in Berlin a couple of months back after almost going out of business earlier this year, but unfortunately, there’s still no word on Axon 9 Pro US availability. Instead of that powerhouse or even the quirky new Nubia X, the company will attempt to restore trust among smartphone consumers this side of the pond starting with a pair of ultra-affordable Blade-series devices. While the Blade X2 Max is probably not happening, a $180 ZTE Blade Max 2s and $200 ZTE Blade Max View are up for grabs unlocked from ZTE’s official US e-store, also heading for Newegg and B&H Photo Video before long. The two low-cost, low to mid-end Android handsets obviously have GSM support for networks like AT&T and T-Mobile in common, but interestingly enough, the Blade Max View can be activated on Verizon as well, whereas the third carrier to provide wireless service for the Blade Max 2s is Sprint. There’s not a whole lot separating the two phones from a hardware standpoint, as both of them come with trendy 2160 x 1080 6-inch 2:1 screens, Snapdragon 435 processing power, and generous 4,000 mAh battery capacity. Marketed as premium “edge-to-edge” affairs, the two devices actually appear to maintain a “conventional” set of top and bottom bezels. The cheaper model is taller, wider, and heavier than the ZTE Blade Max View, despite sharing the same display and battery size. More importantly, the Blade Max 2s only features 2GB RAM, a single 13MP rear-facing camera, and a 5MP front shooter, compared to 3 gigs of memory, dual 16 + 2MP main snappers, and an 8MP selfie cam on the slightly pricier phone. Tragically, Android 7.1.1 Nougat runs the software show out the box on the Blade Max View, while the Blade Max 2s comes with 8.1 Oreo goodies pre-installed... and little chance of an impending Pie update. That makes these already mediocre devices significantly less attractive than almost all of the best sub-$250 smartphones available today. Agreed. Did they spend all their money on paying fines? Introducing the Axon 8 would have made bigger headlines. Where the hell is it? 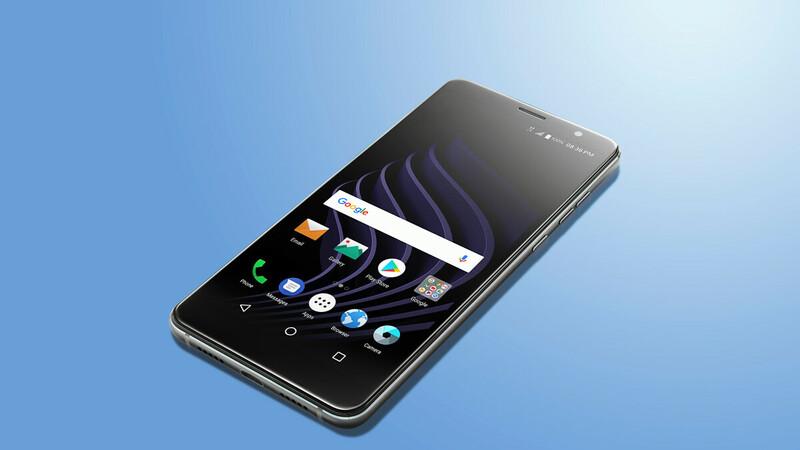 ZTE did announce the Axon 9 Prohttps://www.phonearena.com/news/ZTE-Axon-9-Pro-hands-on_id108325 But the Axon 9 Pro is mediocre at best. They removed everything that people loved from the Axon 7. They removed the amazing front facing stereo speakers for a bottom facing one. They removed the headphone jack which had audio quality that rivaled the quality of LG headphone jack. The new screen on the Axon 9 is at a lower resolution than the one on the Axon 7. The last thing they removed was the low price. The Axon 9 goes for 649 euros ($734) where Axon 7 started at $400. Greatest feature of the Axon 7 was its high value at a low price. The Axon 9 is a major disappointment to me. If the phones are going to sprint, you know they're gonna be acceptable for people who know nothing about phones and that's it. Terrible!! Android 7.1.1??? ZTE this isn't how you make a comeback.